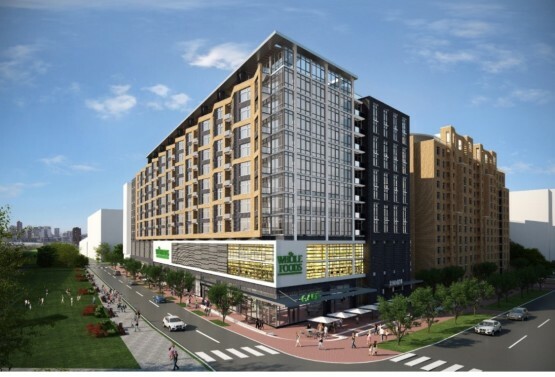 800 New Jersey Ave will have 336 luxury residential units with 10 foot ceilings and commanding views of the Capitol and the Washington skyline, as well as a 35,000 square foot Whole Foods Market. Residents will be able to use the facilities in all three buildings, giving them unparalleled access to a long list of amenities: club rooms, game rooms, rooftop pools, an indoor lap pool, exercise facilities, dog walk areas, a demonstration kitchen and a 15,000 square foot courtyard. Work includes painting of all dwelling units and application of high performance coatings in the parking garage. Completion is set for late 2016.